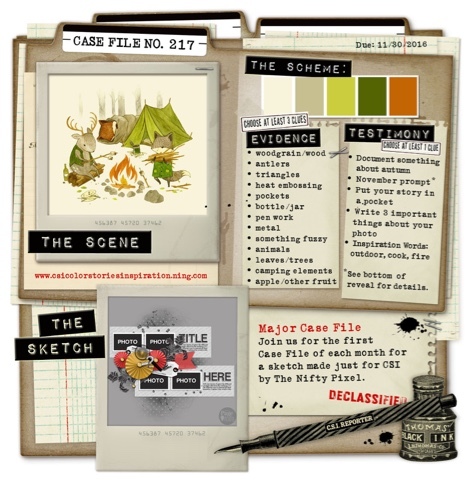 I'm super excited about the move to blogger by CSI! So I had to play along!! Here is how I solved the case! Document something about autumn. We always go to Sweet Berry Farm in the Fall, it is one of the best traditions, everyone loves looking at pumpkins and enjoying the activities! 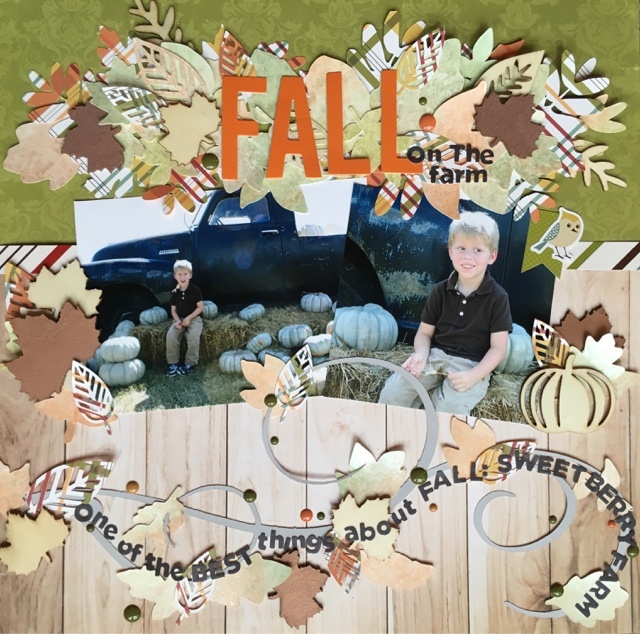 For this layout I used the Echo Park collection "Fall is in the Air." I also cut leaves from a watercolor background and added some target dollar spot wood leaves (and a pumpkin) as embellishments (who doesn't love the target dollar spot?!?)! Hope everyone is enjoying Fall as much as we are! I'm so excited you played with us! Love all the leaves under the title and the loopy leaves and journaling along the bottom, and such sweet photos! I love love love your swirling leaves! Brilliant. Love this page Alison. The colors fit perfectly in your fall layout. Great design and such a cool page! Thanks so much for playing along. Super Layout! Love all your leaves swirling around your layout, the flourish looks like a wind gust with the leaves being blown along! Great photos and all those Pumpkins! Thank you for joining us at CSI! Beautiful page! love all the leaves and clean look of the LO.